Classy and fabulous: Cherchez la Femme! Superb red lipstick!Adore youe hat! That first picture is absolutely stunning! The whole outfit is faaaaabulous! Have lots of fun on the 4th of July! 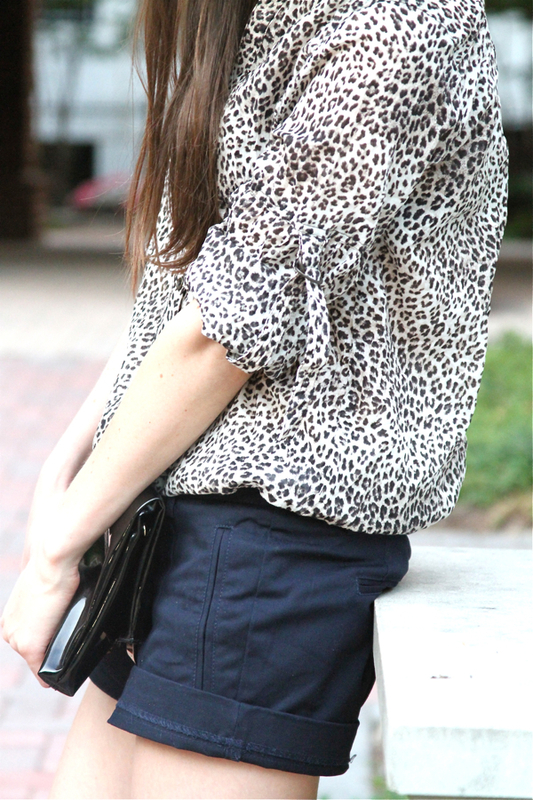 You look so pretty in the feline print blouse! Have a wonderful long weekend, girl! Thank you very much, everyone!!!! That top was a fabulous purchase - love it! you look stunning and this first picture is absolutely gorgeous! and I love your heels! I'm SO happy I found your blog! It's always nice to read in Russian! You look beatiful, I'm definitely following. Won't you please follow me back? loving the leopard top and those heels!!!amazing! That leopard top is amazing. Zara has some really great finds. you look gorgeous! I love the shirt and that you kept it casual with black shorts. also your hat is adorable.. I'm following you, follow me back if you like! That floppy hat is so chic! And so is your top! The red lipstick brings the look together perfectly. Gorgeous! The black hat and red lipstick are the perfect combination! Love the floppy hat + red lipstick combination! Thank you for the nice words, guys!!! WOW,stunning outfit!! !You look so feminine and chic! Leopard print anything is always amazing and can honestly say you look sooooo good in it! Amazing pictures..
i love the outfit and the hat! 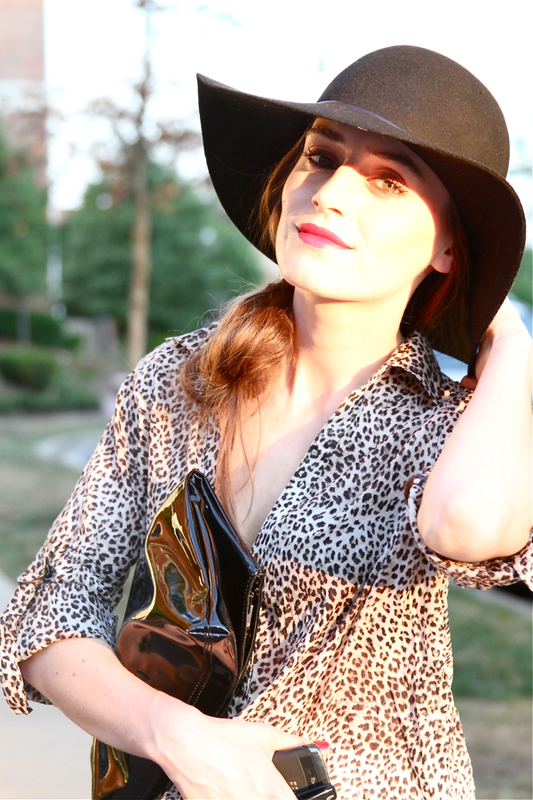 you look awesome.. love love love the leopard print top and hat.. great style.. cool blog! Amazing look! and you are such a beauty! This is such an amazing outfit, you look absolutely beautiful!